Sprout is a pretty verbal kid (wonder where he gets his loquaciousness from?) with a large vocabulary, but like most two-year-olds, he still has difficulty pronouncing certain words or phrases. Sometimes he just makes up names for things himself. In any case, his baby talk has evolved into some pretty hilarious versions that I call "toddlerisms". Here's a list of a few he uses these days. Just for fun, I won't translate them--try your hand at it in the comments below. 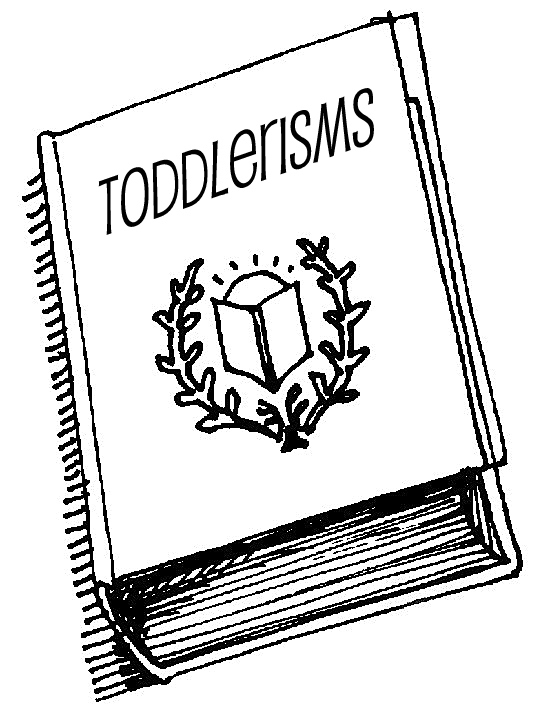 Have you heard any toddlerisms lately? What's your current or past favourite?